Anthropologists have determined that the tarlike petroleum byproduct known as bitumen, defined as “a black, viscous mixture of hydrocarbons,” was first used as an engineering material sometime around 3,000 B.C. Today, more than 5,000 years later, the use of what is now called asphalt, or “a mixture of dark, bituminous pitch with sand or gravel,” remains a foundational element in many of our most important industrial operations, from road construction to roofing to waterproofing. To that end, this white paper will illustrate how internal gear pump technology—specifically the new V Series Internal Gear Pump from EnviroGear®—can be the ideal choice for the most challenging bitumen- and asphalt-handling applications. 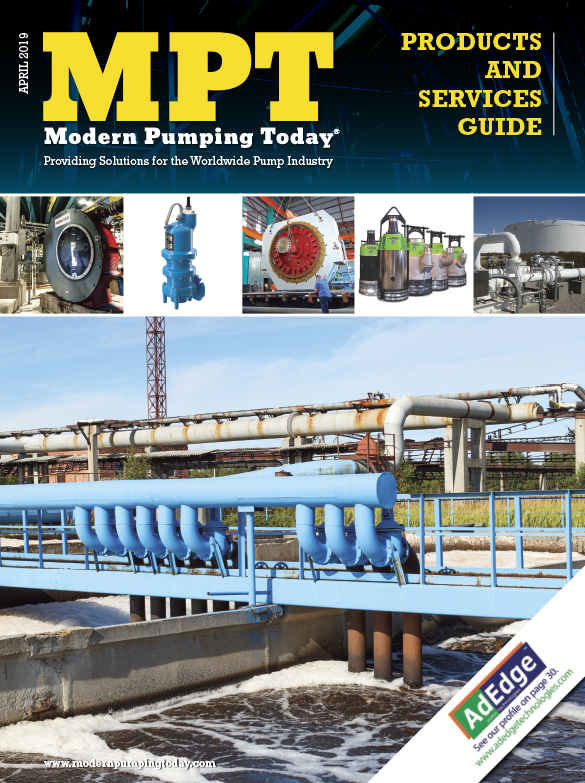 Since pumping systems are ever-present in almost all industrial manufacturing facilities and are crucial to the operation of many production applications across a wide array of industries, they are also ripe for operational improvements that can improve reliability and decrease equipment and operating costs. Asphalt pumps are required all along asphalt’s production and supply chains. They can be found at refineries where raw asphaltic products are produced, terminals where various asphaltic products are stored, hot-mix plants where paving products are produced, and roofing material manufacturing plants where shingles and other roofing materials are manufactured. Specially configured asphalt pumps are at the heart of these and other systems that rely on asphaltic products as their base for production. A pump’s external metal parts are defined as those that come into contact with the pumped medium on the inside while being exposed to ambient conditions on the outside. Pumps designed for asphalt applications must be able to insulate the asphalt being pumped from the outside ambient conditions. An effective heating jacket that maximizes the surface area between the heat-transfer media (steam or hot oil) and the pumped medium (asphaltic products) is critical to reliable performance. Due to the wide range of temperature and viscosity of asphalt products, special consideration always needs to be taken when selecting the proper internal clearances. Oversight can lead to bushing, gear or shaft failure. Furthermore, internal components can be placed under significant stress when pumping asphalt products. Viscosity changes due to temperature swings can cause the asphalt product to solidify in the pump or piping system, leading to potential rotor gear-tooth failure. Featured Image: For more than 5,000 years, asphalt has been a foundational commodity for many of the world’s most important industries, including road construction, roofing and waterproofing. In that time, asphalt’s manufacturers, handlers and users have also needed to employ a pumping technology that can handle its varying temperatures and viscosities. A true advance in this area occurred recently when EnviroGear® developed and released its V Series Internal Gear Pump, which has been designed to optimize product transfer and handling in all asphalt-related applications. Above: There are many entry points where pumps are needed in the manufacturer, transport and use of asphaltic products. The application map above illustrates some of the most significant, including refineries where raw products are produced, terminals where products are stored, hot-mix plants where paving products are manufactured, and plants where shingles and other roofing materials are created. Shaft sealing is by far one of the most significant challenges to overcome in an asphalt application, in particular when a leak-free condition is desired. Packing is the most widely used shaft sealing solution in all asphalt applications due to its reliability, simplicity and ability to operate in all viscosity and temperature ranges. However, packing must leak in order to operate reliably for long periods of time. 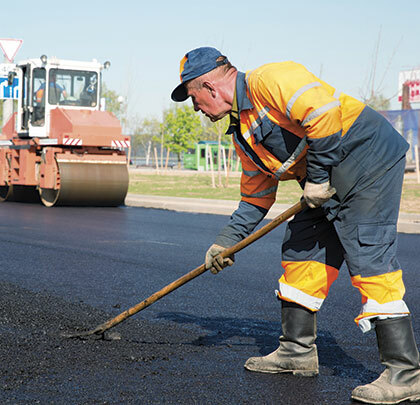 In clean asphalt applications where there are little to no solids and leakage is not acceptable, cartridge triple-lip seals or mechanical seals can be used. In filled asphalt applications where solids are present and leakage is not acceptable, mechanical seals with hard faces can be used. Whenever using cartridge triple-lip seals or cartridge mechanical seals, it is always recommended to use a quench in order to heat the seal, keep air out and avoid coking of the asphalt near the seal faces. In some instances, seal-less mag drive pumps can be used for a completely leak-free asphalt operation as long as very strict precautions are taken during startup. Emulsified Asphalt: Emulsified asphalt is made up of a mixture of asphalt cement, an emulsifying agent (surfactant) and water. It is sensitive to shearing, which requires the pump to be built with extra internal clearances, operate with a reduced pump speed and in some cases be fitted with special idler-bushing lubrication methods. EnviroGear® V Series Internal Gear Pumps feature a series of design enhancements that make them ideal for handling asphaltic products with a wide range of temperatures and viscosities. These include a large jacketed surface on the pump case and pressure relief valve, jacketing behind the pump rotor, a rotatable casing and high-strength, ductile-iron gear material. Filled Asphalt: Sometimes referred to as coating asphalt, filled asphalts can have limestone or other abrasive particle concentrations of 60 percent to 70 percent, making them heavily abrasive. Pumps in these applications generally require hardened cast-iron or tungsten-carbide bushing sets and hardened case, head, rotor gear and idler gear. Like all pumps used in abrasive applications, the pump speed should be reduced significantly in order to maximize component life. The ultimate—and necessary—solution for pumping asphalt is to use a pump that features a heating jacket, robust gear materials, a wide range of internal component material options and flexible sealing configurations. With that in mind, EnviroGear® has developed the V Series Internal Gear Pump for specific use in the handling and transfer of asphaltic products. 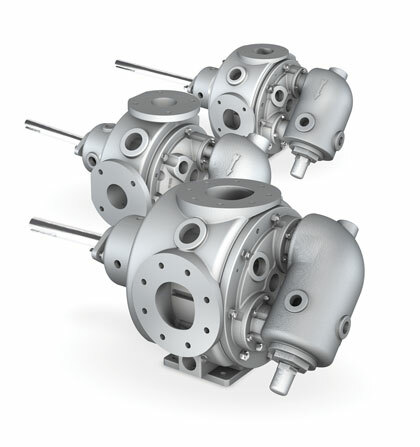 In addition to these operational benefits, the V Series pumps have been designed to be the world’s first drop-in replacements for competitive models. EnviroGear V Series components are also part-for-part interchangeable with the Viking 34 Series Asphalt Pump with very specific design enhancements where required to improve reliability. 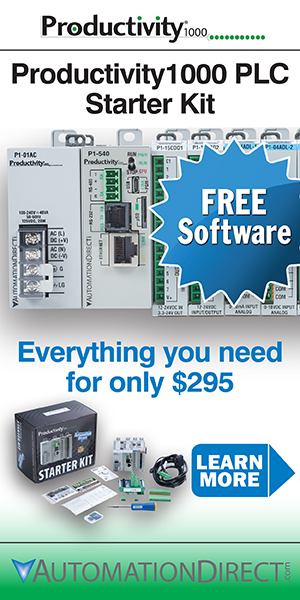 This allows you to rebuild your existing pump with high-quality EnviroGear components. The proven operational performance of EnviroGear’s legacy internal gear pumps combined with the revolutionary new features of the V Series Internal Gear Pumps help make them a best-of-all-worlds solution to the challenges that are inherent in the handling and transfer of bitumen and asphalt. Nicholas Ortega is the gear pumps product manager for EnviroGear® Pumps. He can be reached at nicholas.ortega@psgdover.com. EnviroGear is a leading brand of internal gear pumps and a product brand of PSG®, a Dover company. 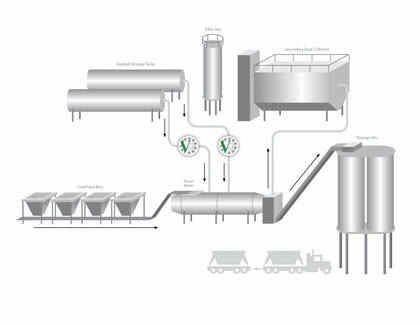 Offering a complete range of products that can easily accommodate a wide scale of viscosities, EnviroGear is renowned for its proven technology that can be found in use throughout the globe delivering accurate, reliable performance, especially in challenging high-viscosity applications. PSG is comprised of several of the world’s leading pump brands, including Abaque®, Almatec®, Blackmer®, Ebsray®, EnviroGear®, Finder, Griswold™, Mouvex®, Neptune™, Quattroflow™, RedScrew™, and Wilden®. For more information, visit www.envirogearpump.com or www.psgdover.com.